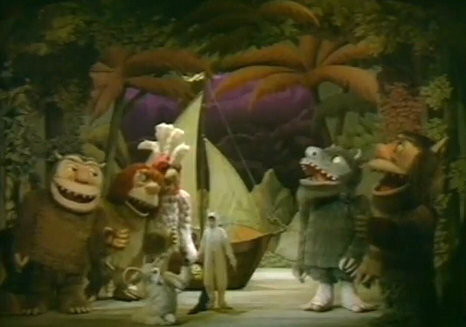 Where the Wild Things Are for the Glyndebourne Festival Opera. I hope I can say something similar when I’m 83. More than anything, I want to continue falling ever more deeply in love with the world. The quote comes from an interview that Terry Gross conducted with the beloved children’s author and illustrator on Fresh Air, a popular National Public Radio program. Almost more an intimate talk with a friend than a standard interview, Sendak openly acknowledged his failing health and advancing age, taking the opportunity to say goodbye to his host with an eloquence that is deeply moving. Unable to come to the studio, Sendak spoke from his home, mentioning in passing that even walking has become difficult. He’s confined in space, looking out the window at the trees—but he even finds joy in this. “And I look right now, as we speak together, out my window in my studio and I see my trees and my beautiful, beautiful maples that are hundreds of years old. They're beautiful. And you see I can see how beautiful they are. I can take time to see how beautiful they are. But side-by-side with the blessing is the overwhelming melancholy of loss. It’s his King Lear interview, as he strives to express the fragility, irrationality, and comedy of life. The knowledge of death informs the interview. He wears his vulnerability bravely. This is my 200th entry on 21 Essays. I hope to keep it going for at least thirty more years, until I’m turning 83 and considering a series on the beautiful maples outside my window. If you haven’t heard it, enjoy the interview! And have tissues handy. Here’s a link to the full 18-minute interview at the NPR site (click on “Listen to the story.”).